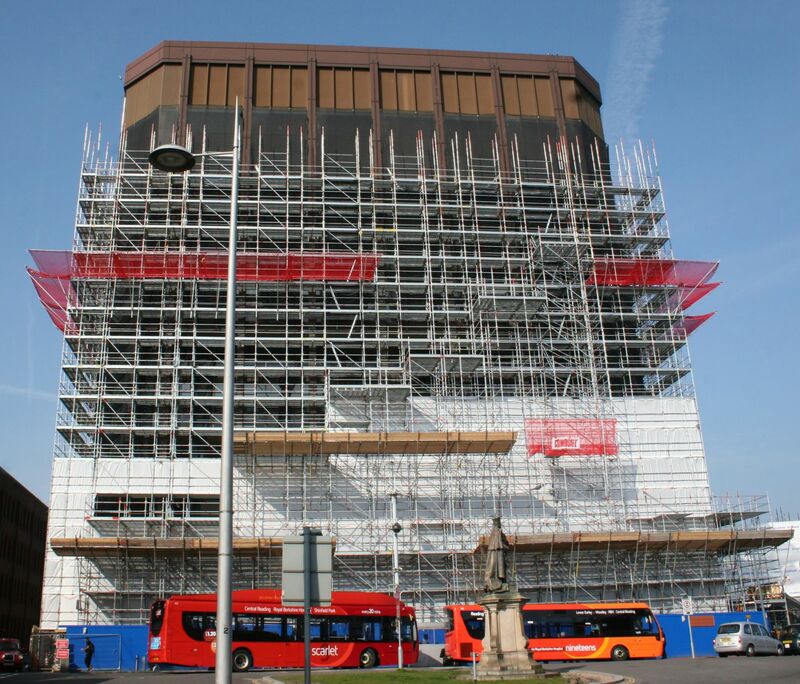 After several years, much-needed redevelopment around Reading Station – including work to reinvigorate Thames Tower – finally got underway, with TRAD Scaffolding receiving a challenging design brief and deadline from our client Bowmer & Kirkland. The concourse area directly in front of Reading Station is very busy on a daily basis, and a number of vaults underneath and surrounding Thames Tower further complicated the brief. 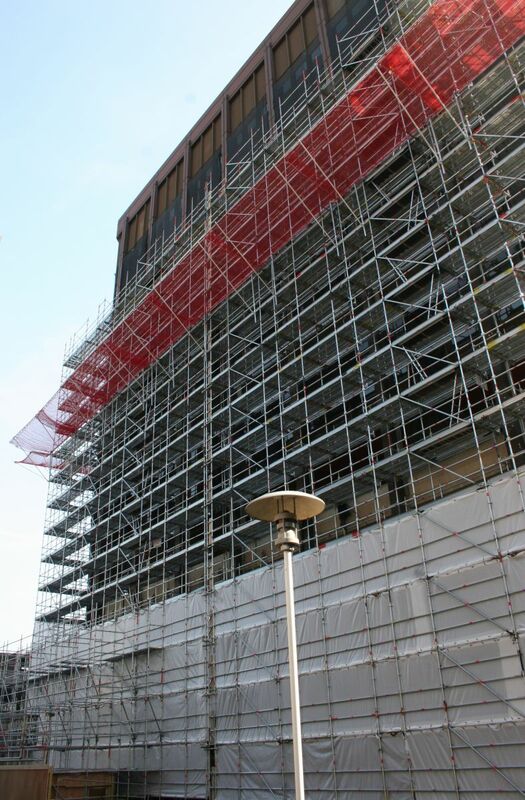 Add in a limited timeframe to erect our scaffold, and we drew on all our years of experience and expertise to quickly deliver a safe scaffolding design solution in a high-risk environment. To meet the client’s expectations and timescales, we turned to the speed, divisibility and durability of our new Metrix system. Conforming to EN ISO 9001, Metrix is a palletised system, able to be quickly loaded and unloaded by our new truck-mounted Fassi cranes. 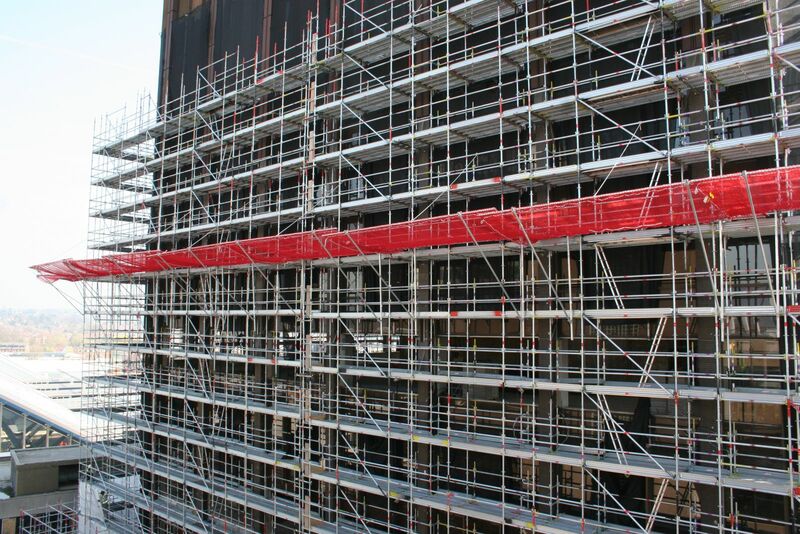 Sympathetic to the aesthetic considerations of a project, the system allows unimpeded access through the scaffold, and includes components for protecting facades for support, as internal or birdcage scaffolding, or as rolling towers. 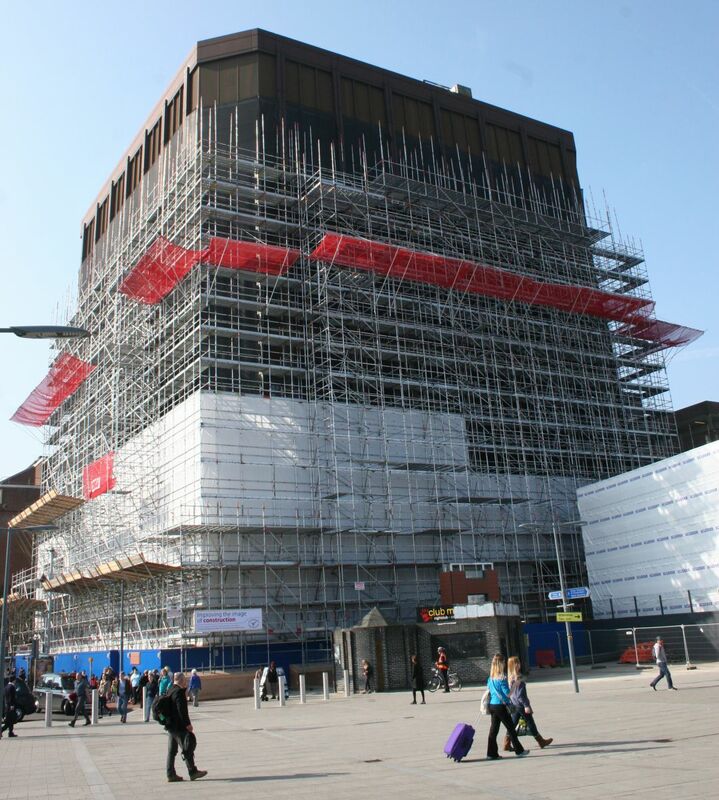 The work represents the first phase of redevelopment, with the building due to be extended by another four floors as part of the £5 billion Station Hill project.